PRESS PLAY above to watch the Scott Thompson interview. Scott Thompson talks to NMFC.com.au about his career so far ahead of his 200th game on Saturday. There were times Scott Thompson thought he wouldn’t play a single AFL game, let alone 200. 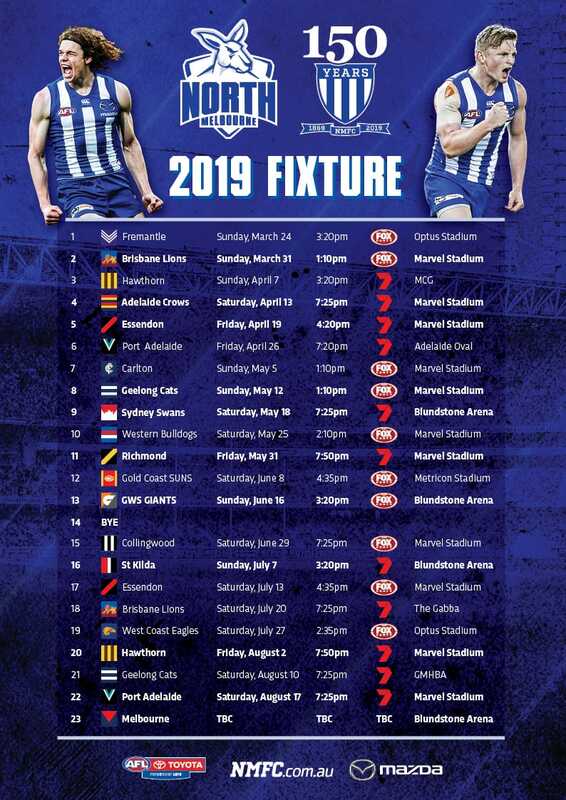 On Saturday, the veteran defender becomes just the 29th North Melbourne player to reach the milestone - a far cry from when he was playing at local level in Geelong just ten years ago. Remarkably, the same year Thompson was drafted, he’d spent time playing in the Geelong Football League for South Barwon. He did enough to get an opportunity in Geelong’s VFL side, then caught the eye of recruiters with some strong finals performances in a premiership side. “I can remember draft day ... I was playing cricket with my mates,” Thompson remembers. The whirlwind transition continued - by Round 1 the next season, in 2008, Thompson was running onto Etihad Stadium as an AFL player. He only played the six matches that year, but by 2009, he was a North regular. And he’d already gained a nickname, “Mr Annoying” as he niggled and pestered his opponents, trying to gain the upper hand. “I was just ruthless with my opponent within the laws of the game and not giving them the inch,” Thompson explained. “It probably wasn’t my natural game, but I adapted to where I needed to play. “A defender defends and tries to stop the forward, so if you can do that by any way you can within the rules of the game, I don’t see why you wouldn’t do that. Thompson’s game became about more than just stopping his opponent though; he also found plenty of the ball as an attacking defender. By the end of that year he’d claimed runner-up in the Syd Barker Medal and he barely missed a game between then and his best year so far, 2013. “Mr Annoying” became “Mr Reliable”, culminating in a Club Champion and All-Australian selection. “I would have rather played finals (in 2013), but I guess at the end of your career that will be something I look back at and really hold dear,” Thompson said. Now 31, Thompson’s game has changed somewhat. He’s the first to admit he’s adapted to become more of a leader in defence these days, the niggle and push and shove not gone forever, but perhaps a little more measured. One thing hasn’t changed though - his importance in North’s defence. With an emerging group of youngsters and vice-captain Robbie Tarrant, Thompson’s leadership is vital down back. “It’s a different feeling. Obviously I’m the older person now and you’ve got to pass on what you know to the younger boys. Thompson will be the old head amongst a young team as he runs out for game 200 on Saturday. But what does the milestone mean for North’s number 16? “I haven’t really thought about it too much, but I think for me it’s just recognition of hard work and that hard work can pay off. “Coming from a 21-year-old who didn’t even think he was going to play AFL … it’s just a good recognition.